What are my first impressions of the nose of the 1792 Ridgemont Reserve, Alex? Yes, that’s correct! Go again. Okay, I’ll take “there’s more vanilla and cinnamon here than in a middle school girl’s locker” for $400. Answer: A mechanic shop, but a nice one: there’s leather banquette seats, cracked with age; some grease wafting in from the service door; just-opened cans of STP; yellowed promotional literature. What is rest of the nose of the 1792 Ridgemont Reserve? The alluring nose continues into the mouth with corn husks and pepper. Now that I think of it, it’s tamales with Armenian meat pie stuffing in it. Mouth is tannic and bites; it dries like keyboard cleaner aerosol sprayed at altitude in defiance of good sense and TSA regulations. This is rich, like undercooked pecan pie batter, but a whole lot smoother than that. Macaroons covered in a thin coating of pan-melted Vicks® cough drops. The finish is Nana’s leathery lips on my cheek after a huge slug of sherry (hers) and an excellent report card (mine). The wood is most pronounced on the finish but on the open, I get larch sap. A smooth finish that makes me want to treat this like a session bourbon. 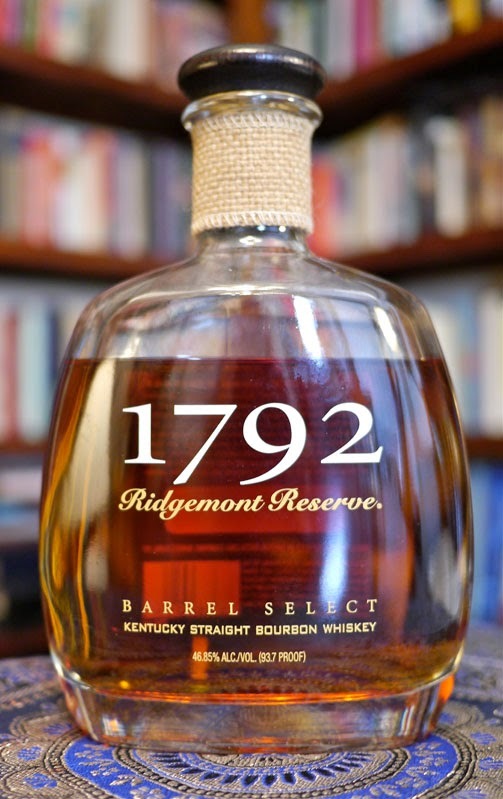 The 1792 Ridgemont Reserve is “larch”–Go ahead. Say it. Now say it three times. You are happier now than you were moments ago. Go pour yourself some of this good bourbon and spread the word. –Our thanks to Jobie Smith and Sazerac for the sample!